Intra Cytoplasmic Sperm Injection (ICSI) is by far the most successful micromanipulation technique used for the treatment of male factor infertility. This technique is used to enhance the fertilization phase of in-vitro fertilization (IVF) by mechanically inserting a single spermatozoon directly into the cytoplasm of an oocyte. 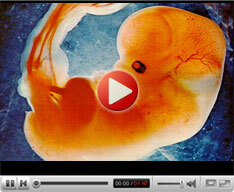 The fertilized egg is then placed in a woman's uterus or fallopian tube. Sperm collection: Sperm are collected either by masturbation or by surgically removing them from a testicle through a small incision. This techniqueto retrieve sperm is employed when there is a blockage that prevents sperm from being ejaculated or when there is a problem with sperm development. Ovulation and egg retrieval:You will be advised to take daily injections of gonadotropin or follicle-stimulating hormone (FSH) to stimulate the ovaries to produce multiple eggs (superovulation)and this will be closely monitored for 2 weeks before egg retrieval. After one week, the doctor checks the bloodoestrogen levels and checksif the eggs are maturing in the follicles. During the second week, once the follicles developfully, you will be given human chorionic gonadotropin (hCG) injection to stimulate the maturation of follicles. The mature eggs are then collected after 34 to 36 hours using laparoscopy or needle aspiration guided by ultrasound through the abdomen to the ovaries. Sperm injection and transfer: Under high-power magnification, a holding pipette is used to hold an egg in place. A minute glass tube containing sperm is used to penetrate and deposit one sperm into the egg. After culturing in the clinic or lab overnight, eggs are checked for fertilization. 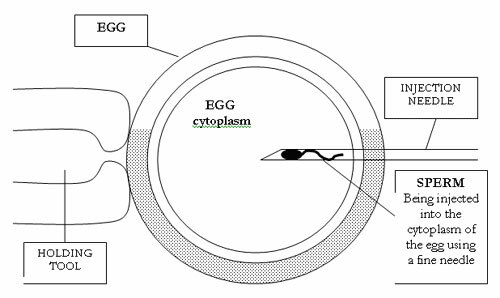 After incubation, the eggs that have been fertilized successfully to form zygotes or have had 3 to 5 days to further develop (zygotes or blastocysts) are selected. Two or three sperms are then placed in the uterus using a catheter that is later inserted through the cervix.